We already know that Netflix has had a nearly unblemished record with its original content (we’re not admitting that the whole Adam Sandler thing ever happened). 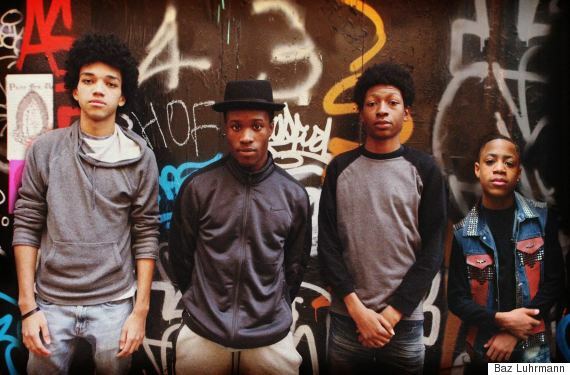 One of its newest and most intriguing projects in the pipeline is The Get Down, a story of teenagers living in the Bronx during the 1970s and trying to find their way. Created and executive produced by Baz Luhrmann, The Get Down, with its throwback setting, teenage angst, and infusion of music, is poised to be the streaming service’s next big winner. The cast includes high profile names like Shameik Moore (Dope), Jaden Smith, Giancarlo Esposito, and Jimmy Smits, and the one and only Grandmaster Flash serves as a producer and adviser to the series. But in watching the trailer for the series (set to debut sometime this year), the result is much bigger than the sum of its casting choices. Beyond the immediate nostalgia factor at play, The Get Down is immaculately shot. Every image is a symphony of color, balancing gritty backdrops with a technicolor wardrobe, just like you’d expect in the 70’s. The how itself feels like a more grounded Empire prequel, set in the days of Luscious’ adolescence. The music and drama are both there, and there is an unshakable feeling that these characters are on the verge of something big, even if they don’t know it yet. Next story The 2016 Oscar nominations are proof that the Academy doesn’t care about you.